Algenist Complete Eye Renewal Balm is a balm for the eye area with the exclusive anti-aging ingredient Alguronic Acid. The revolutionary microalgae-based ingredient Alguronic Acid fights visible signs of aging. This rich yet lightweight balm hydrates and soothes the eye area to decrease puffiness and dark circles. Alguronic Acid along with other complementary active ingredients combines to deliver renewing properties to the eye area. – Skin density (suppleness, elasticity) is restored in 86% of subjects. – Skin radiance is boosted in 93% of subjects. – Deep wrinkles are minimized in 78% of subjects. – Skin is noticeably tightened and lifted in 81% of subjects. 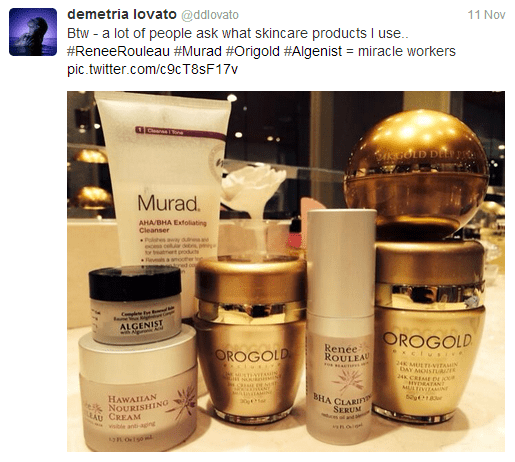 Did you see Demi Lovato’s instagram post of the skincare products she uses? Well, the Algenist Complete Eye Renewal Balm was included. Not to push Ms. Lovato aside, but, I’ve been using the Algenist Complete Eye Renewal Balm both night and day for over a year to hydrate my eye area, and strictly as a preventive measure towards wrinkles. Honestly, when it comes to anti-aging products, there’s no way to tell if it’s working until further down the line, and as of now, I do not have wrinkles. 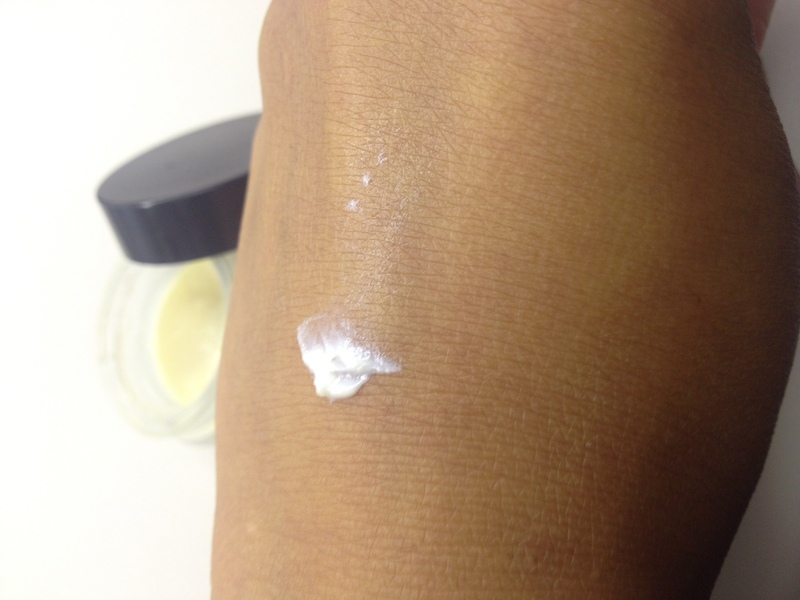 The Algenist Complete Eye Renewal Balm works well as an all around eye cream that keeps my eye area supple and moisturized; however, I have not noticed any reduction in my dark circles. I’m a contact lens wearer, and I do have issues with products irritating my eyes, and the Algenist Complete Eye Renewal Balm doesn’t irritate them at all. The texture of the Algenist Complete Eye Renewal Balm is creamy, and it goes on light without any oily or greasy residue, and absorbs easily, which makes it a perfect for use under eye makeup. The Algenist Complete Eye Renewal Balm costs $65/0.5 oz, which sounds a lot, but to be honest, a little goes a long way. The year is coming to close, and I still have some eye cream left over to last me at least another 2 months. If you’re in the market for a hydrating eye cream, then the Algenist Complete Eye Renewal Balm is something you may need to pick up. 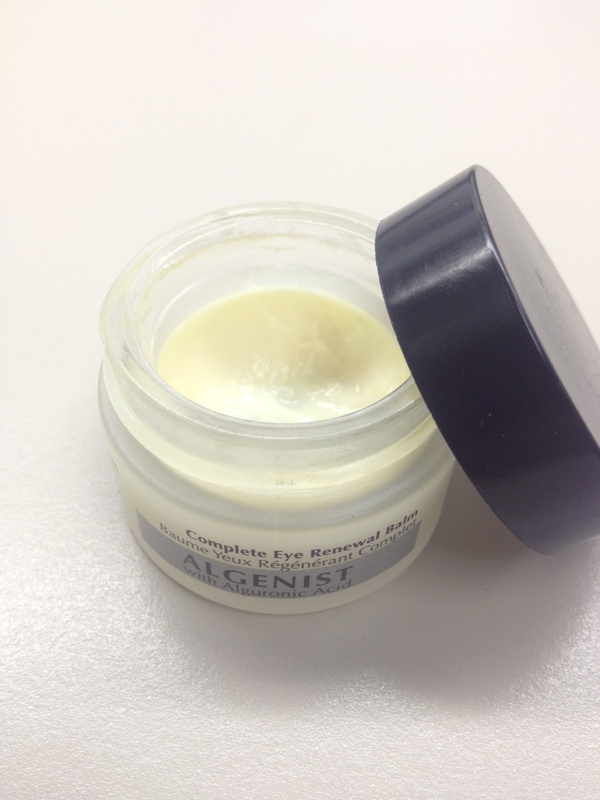 Have you tried the Algenist Complete Eye Renewal Balm? Do you use an eye cream? I've used this in the past and loved it! What are you now using? I have never heard of Alguronic Acid before…intrigued! Definitely a little too rich for my blood, especially because I'm still too young to really experience any of the effects from these types of products! I'm relatively young, too; I'm only 29. I definitely have no wrinkles. I do love that it keeps the eye area hydrated. This seems like a great product would love to try it! I need a good eye cream I'm starting to get lines!